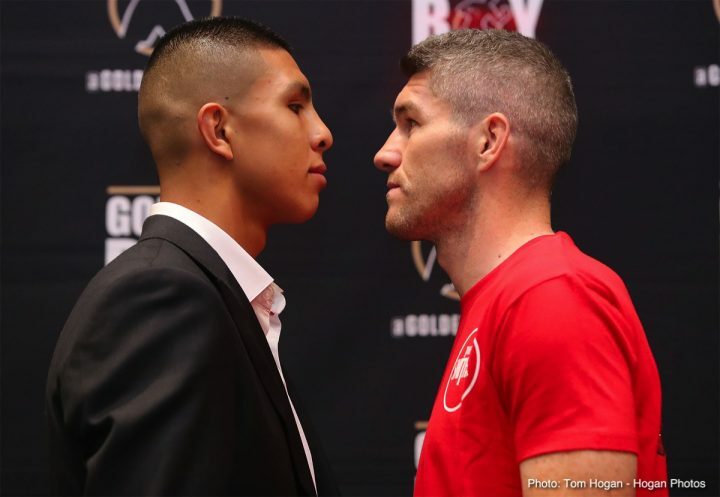 By Sean Jones: WBO junior middleweight champion Jaime Munguia (29-0, 25 KOs) will be getting a purse of $200,000 for his title defense this Saturday night against Liam Smith (26-1-1, 14 KOs) on HBO in Las Vegas, Nevada. Smith, 29, is getting a purse of $75,000. The card is promoted by Golden Boy Promotions. 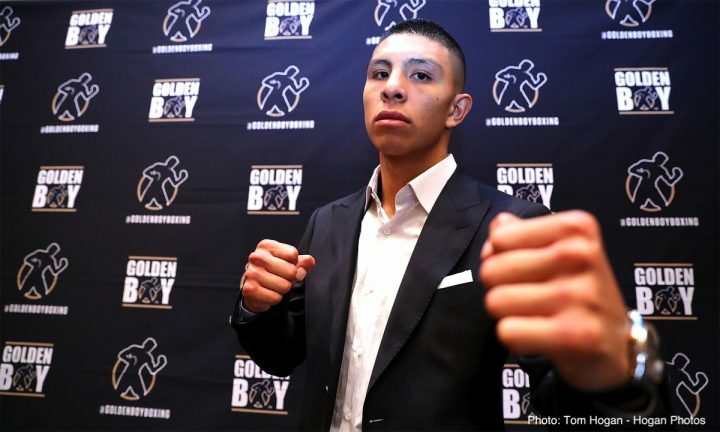 Munguia is seen as a future star by many fans. All he needs is to start collecting scalps from the top contenders and champions, and he could soon be the replacement for Saul Canelo, who may not have much time left as a star. 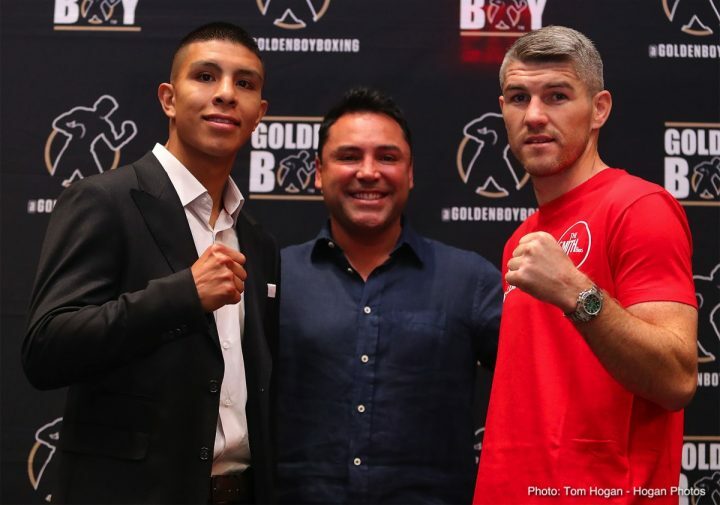 Munguia has the size and power to be the next big thing in the sport. 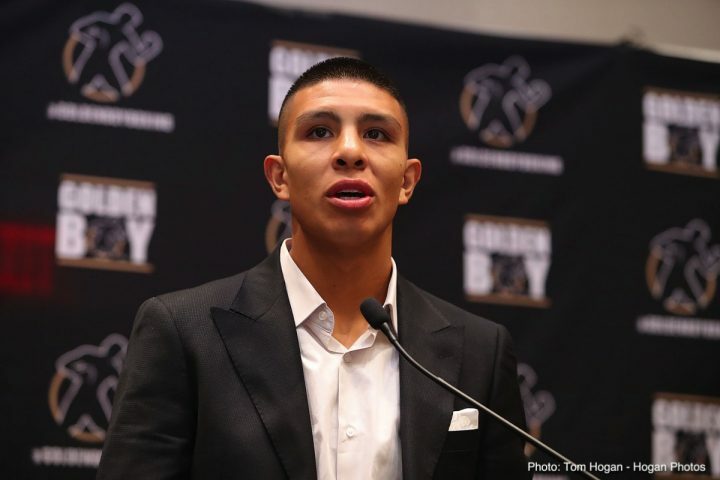 What Munguia has going for him that the slicker boxers like Vasyl Lomachenko and Terence Crawford don’t have is huge punching power. Munguia makes it interesting for boxing fans to watch hi fight because he gets it over with so quickly in stopping his opponents. Munguia beat Sadam Ali by a 4th round knockout in his last fight in May to win the WBO junior middleweight title. Ali was accidental champion, winning the WBO title after Miguel Cotto suffered a shoulder injury during their fight. 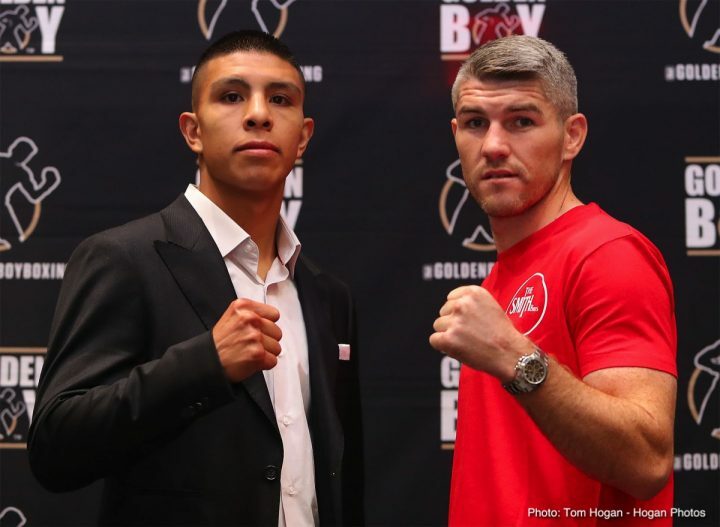 Munguia stepped in to replace mandatory challenger Smith back in May when Sadam Ali – who defeated Miguel Cotto in his final fight – held the WBO world super welterweight title. Sadam was not ready for the huge power of Munguia and he ended up getting blown out right away. Munguia, 21, is an incredible puncher for the 154 lb. weight class. One reason for that is he’s large for the junior middleweight division at 5’11”, and he’s looks heavy after he rehydrates. Some boxing fans compare Munguia to Julo Cesar Chavez Jr. with the way that he used to melt down to fight at middleweight. Back when Chavez Jr. was still able to make the 160 lb. weight limit, he was crushing his opponents with his size. If Chavez Jr. had been able to keep making weight for middleweight, he would still be a factor in the division. Munguia is doing the same thing at 154, but he’s much bigger puncher than Chavez Jr. was and he moves well around the ring. Munguia doesn’t have the weight problems that Chavez Jr. had. Munguia seems dedicated to his craft. 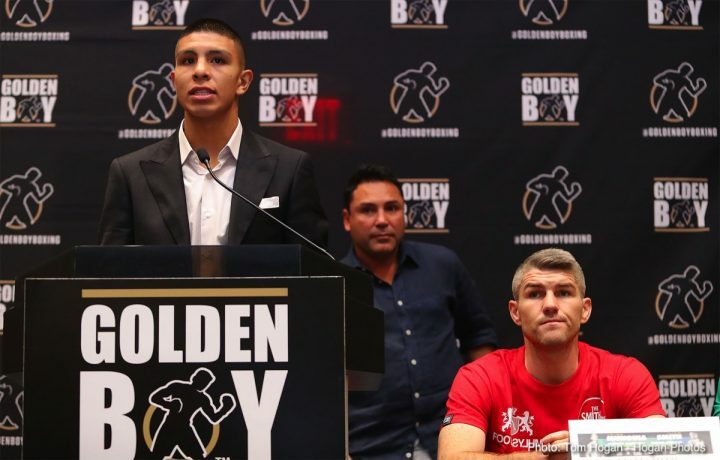 Munguia wants to become a superstar in the class of Saul Canelo Alvarez and Gennady Golovkin. For Munguia to get to the same place as those two with his career, he’s going to need to deal with Smith and make it look easy. It’s not just a case of Munguia needing to beat Smith. He needs to beat Smith in a sensational fashion without struggling. World Boxing Association World super featherweight champion Alberto Machado (19-0, 16 KOs) is receiving a purse of $100,000 for his title defense against unbeaten Rafael Mensah (31-0, 23 KOs). For his part, Mensah is receiving a purse of $35,000. The co-feature bout between Machado and Mensah may prove to be the most interesting fight of the night, as these two are competitive matched unlike the main event. 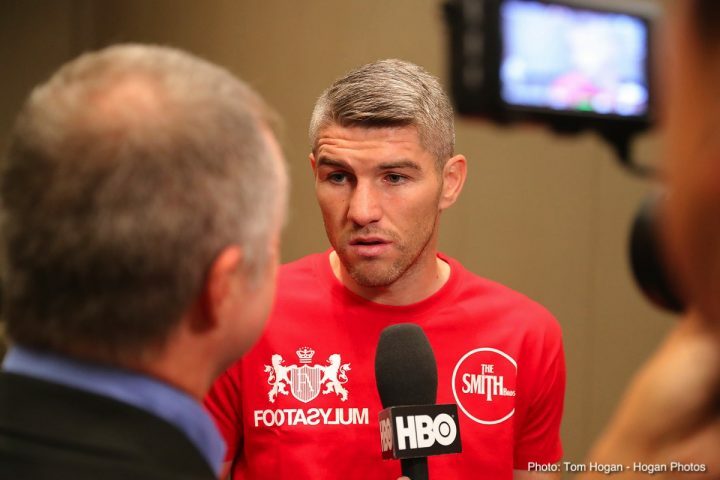 Smith has looked good lately in beating Liam Williams twice to put himself back in position to fight for a world title. 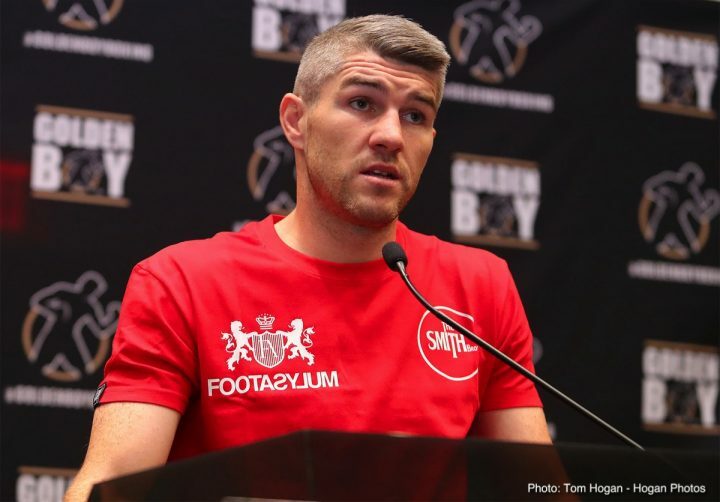 Smith previously held the World Boxing Organization 154lb tile in 2015 and 2016. Smith lost the title to Saul Canelo Alvarez in getting stopped in the 9th round in September 2016. Smith had a nice ride as a champion at 154. It’s unfortunate that he didn’t beat anyone of note before he lost his WBO title.